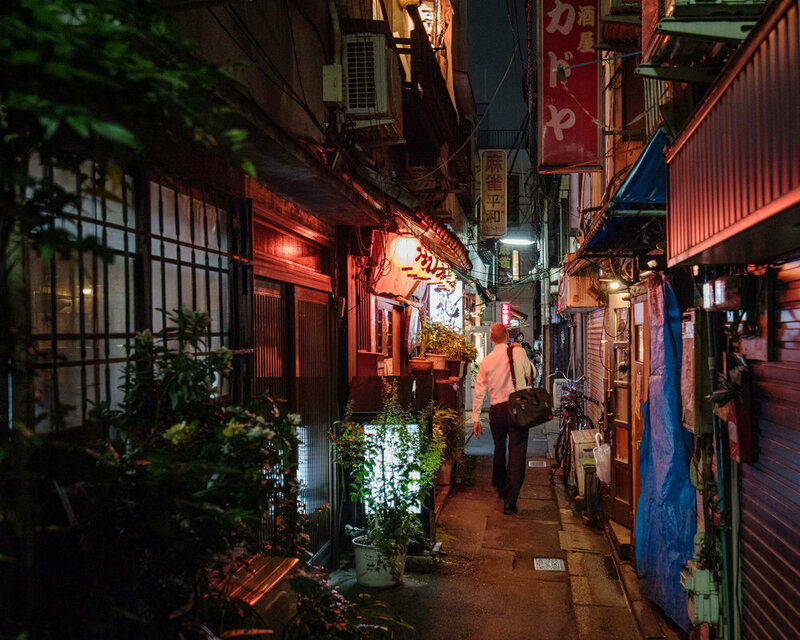 Koenji is another part of Tokyo that I think should be high on any street photographers list of places to shoot. This district is located a mere 5 minutes west from Shinjuku on the JR Chuo Line yet has a vibe and atmosphere that's vastly different. 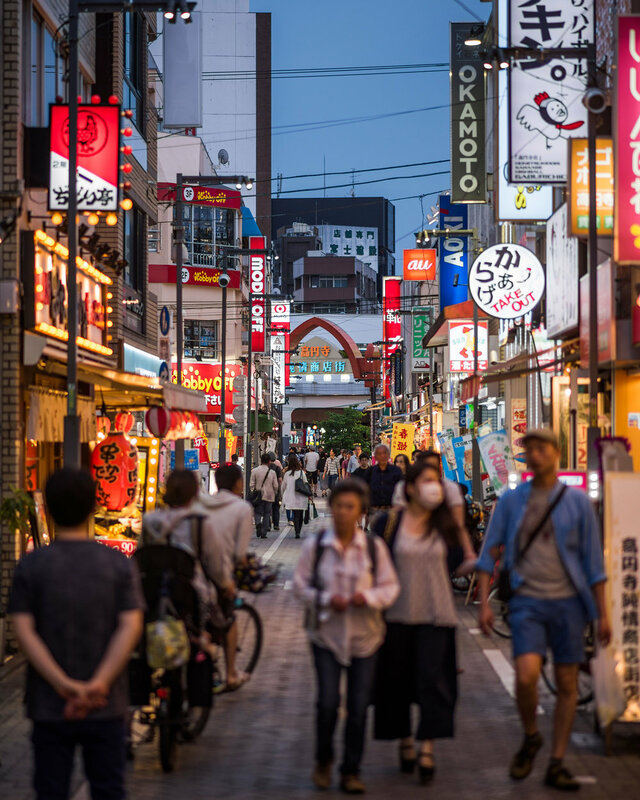 In the last few years, Koenji is often referred to as the “coolest” neighborhood in Tokyo. Although I’m not sure if I agree regarding the coolness factor. Personally, I think cozy would be a more appropriate word to use in this case. In Koenji most of the shops are made up by smaller establishments. 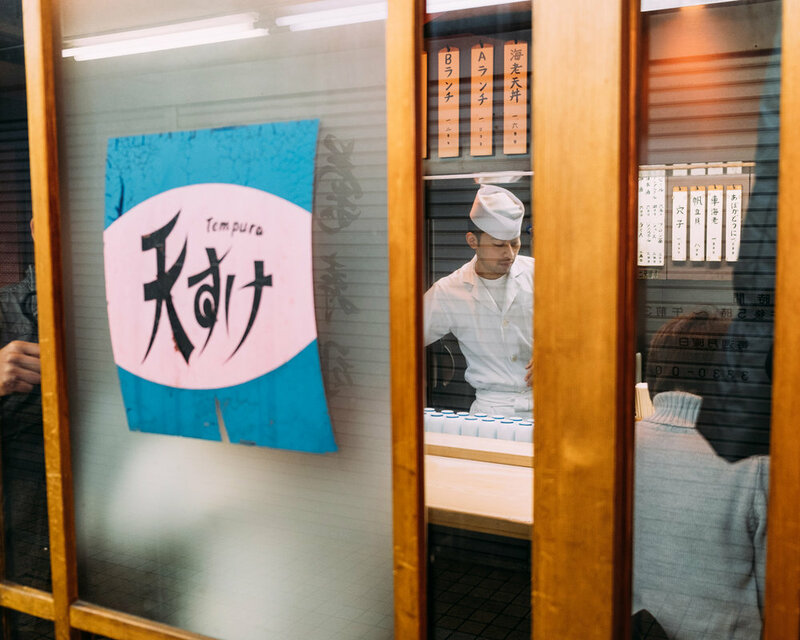 Local mom and pop shops, yakitori stands and a surprisingly high number of charming “kissaten” style retro coffee shops. 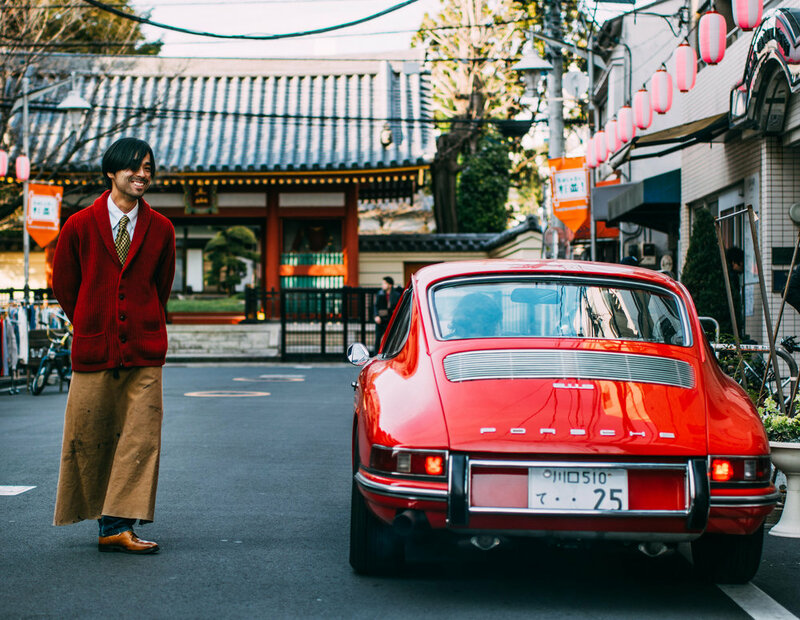 The district also has a high density of vintage shops, perhaps only second to Shimokitazawa. Hence, a large part of the crowd you’ll come across are fashionable teenagers. In the daytime Koenji is cozy and charming, but when it really gets (visually) interesting, is around sunset, when the area under the railroad tracks spring to life. 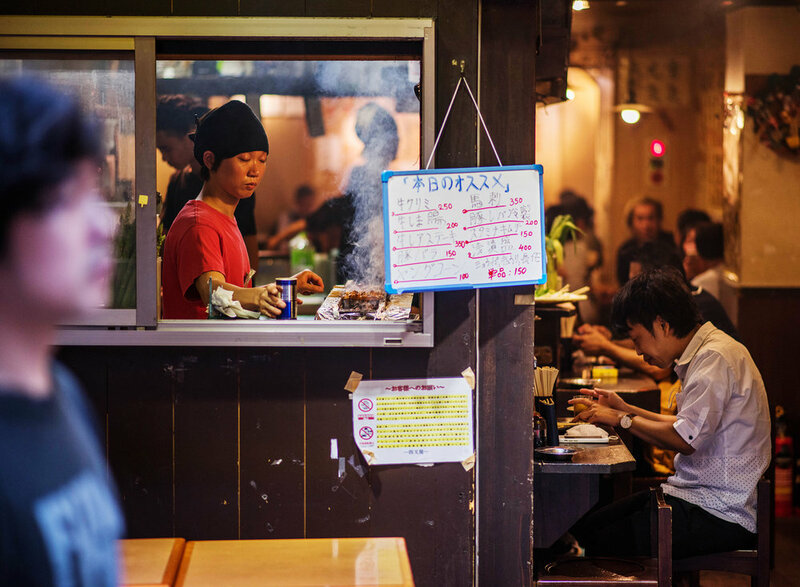 Here, and in the parallel streets, you will find dozens of small izakayas and yakitori stands. Once they fire up their business, large portions of the streets gets filled with thick smoke that makes for atmospheric photos. The crowd is made up of a good mix with younger salarymen, musicians living in the area, and the ambiance is lively and friendly. You should also make sure to explore the other smaller streets around here. Personally, I think the northern side of the station is the most interesting, with its many narrow alleys, old markets and countless cozy bars. One small stretch contains some seedier establishments. While it sure makes a good photographic backdrop, you may want to exercise some caution as towards who you point your camera.